Before the internet existed, it was tough to get free objective opinions about your writing. There weren’t any websites or blogs, and even if you made a cool video, there wasn’t any YouTube to post it on. If you were a writer without an agent, you had to find a writer’s group and hope all the other writers in the group were serious too. But you didn’t want anybody in your group who was too serious. At the time I was writing a humorous novel about a fake psychic who got coerced into solving a serial killer mystery. This was in the early 1990s before the cable TV show about a psychic detective, so if there were similarities between my book and the TV show, my book was ten years first. Anyway, my book was never published, though an agent once told me it was close, but I don’t think his definition of “close” matched mine. This writing group was a good one. I’d had complaints about a bunch of previous groups, but this one was ideal. All the group members were serious. There were eight of us. We met once a week in the living room of the group leader’s house. We critiqued two group members’ manuscripts each week, so we weren’t bogged down with reading. The comments that we wrote and discussed were always respectful and well thought out. Nobody said “This sucked!” even if the manuscript was rough. We always knew the manuscripts were going to be rough. We had full-time jobs that had nothing to do with writing. Unfortunately, a woman had to drop out of the group (which was too bad because she was a good writer and a perceptive reader), and her replacement was a blunt guy who didn’t say much. The previous month I had brought in a scene that the group critics had claimed was brilliant. It showed my fake psychic in action, asking a potential client a bunch of leading questions and then choosing which answer to follow through with. This is a technique that psychics use (I’ve had it done to me when I wasn’t aware of how it worked), and the scene went through the protagonist’s thoughts as he manipulated his client’s emotions and swindled him (but in the protagonist’s defense, the client left with some emotional burdens lifted). One critic called it a perfect scene. Another critic (the perceptive one who had just left) said she wished she could write something like that. Another reader said it was one of the best scenes he had ever read. I left the meeting feeling elated. Maybe I got too cocky. In this particular session a month later, I brought in a scene with a bunch of characters, some of whom would become victims and others who would become suspects. There was a lot of dialogue. I tried to write a little bit of banter for each character to make all of them stand out in some way. Even though this scene wasn’t nearly as well-received, most of the critics tried to be gentle with their comments. We prided ourselves on how we approached criticism. 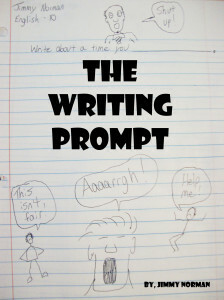 We usually started off with the premise of “If this were my writing….” That way, we kept absolutes out of the discussion. Everything was a matter of opinion. “Maybe I’d tone down the attempt at humor,” one group member said. Then came the blunt guy. He was new to the group. He wasn’t used to our style of critiques. He hadn’t been a member the previous month and hadn’t seen my “perfect” scene. This was his first exposure to my writing. Then he tossed my manuscript onto the coffee table in front of him. I don’t think the g-d bomb had ever been used in that writer’s group before. Everybody was stunned. I seethed. It was humiliating. I could feel my face burning purple, but I couldn’t respond to the blunt guy, not right then. There was nothing I could do but take it. But then I saw my opportunity. At the end of the meeting, the blunt guy handed us a chapter of his novel. I had never read his stuff before, but the quality of it wouldn’t matter to me, not anymore. I would find a way to massacre it. I would have my revenge. And I knew it was going to be sweet. To be continued in Writer’s Group Horror Story: The Loudmouth Novice ! « What Is The Most Beautiful Word in English?